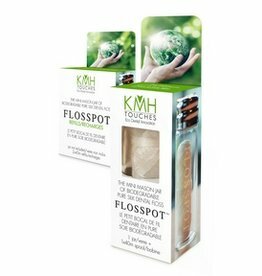 FLOSSPOT is a mini mason jar filled with candelilla-waxed biodegradable pure silk floss which has been lab tested for purity. Beautiful alternatives for a healthier planet! Please reduce your use of plastics. Eco Dental Innovation. The mini glass jar of biodegradable pure silk dental floss.